UPDATE 1: Chrome removes Physical Web support on iOS and Android. UPDATE 2: The Beacons notifications are now supported by Google’s own nearby services, which are active by default on all Android 4.4(KitKat) or newer devices. We discussed Eddystone, how it is different from iBeacon etc., in an earlier post. 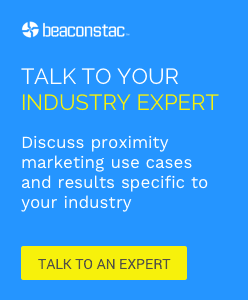 In our recent webinar on Eddystone, we talked about various Eddystone use cases, how Eddystone will affect your beacon project and Beaconstac’s roadmap for Eddystone support. In this blog, we will discuss answers to questions we frequently receive from our customers. Let’s get started. 1. Can the same beacon support iBeacon as well as Eddystone? Beaconstac beacons will be able to support both formats. The firmware update that will be released in a few days will allow you to use both of these. You can, however, only use one format at a time, i.e, you can’t use both formats simultaneously. You will need to switch between the two. 2. Can a single app work with Eddystone and iBeacon at the same time? Though it is possible, we are not aware of any such implementation currently. Can a single app work with Eddystone and iBeacon at the same time? 3. Under what circumstances does Eddystone push content to a phone that doesn’t have an app installed? The only way Eddystone can work with a device that does not have a compatible app installed is to transmit using the URL packet. This also means, that currently there is only the ‘Physical Web’ browser in Android that is capable of receiving this. We expect that the next Chrome release or the release of Android M (whichever comes earlier) will offer complete support for Eddystone-URLs within the Android platform. Currently, the Chrome browser available for iOS supports Eddystone-URLs, once you enable the ‘Today’ notification in your iOS device. This new Chrome feature works within the Chrome Today widget on the Notification Center Today view. 4. For the Eddystone-URL to work, should there be an app on the customer’s device? How does this work? The URL is being transmitted by the beacon and for the customer’s device to detect the URL we need an app that is capable of reading that packet and displaying it to the user. At the moment it is only supported by Chrome on iOS and the Physical Web browser on Android. Even the Chrome browser implementation on iOS is predicated on that fact that notifications for the ‘Today’ notifications are turned on. It’s not that the Chrome browser will automatically open and show the web page. Can the same beacon support iBeacon as well as Eddystone? 5. Can I decide who I send these URLs to? No, you do not have any control over it. Anyone who has a device that has an app that’s capable of reading the Eddystone-URL and presenting a web page will get it. There is no customer segmentation that’s possible. 6. 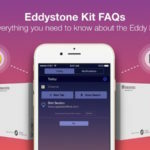 Can the Eddystone format be used with other beacons? Yes, there are manufacturers out in the market who have released/are planning to release firmware upgrades to support this format. 7. There is this perception that somehow Eddystone and Google have killed the need for an app. How true is this? It’s a very wrong perception. We have known for a while that user privacy is important and there is a need to opt in. But there is definitely the need for an app. It’s just that the app can be Chrome, which everyone has, instead of a retailer-specific app. 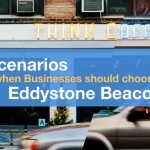 Has Google’s Eddystone killed the need for an app to interact with beacons? 8. Do I have to use Google’s Nearby Proximity APIs or can I use a platform like Beaconstac? There is no compulsion to use Google’s Nearby Proximity APIs. You can put a beacon in the Eddystone mode and use it with a platform like Beaconstac. 9. Can Eddystone-URLs be translated by non-Chrome browsers? Yes, they can. The Beaconstac SDK that’s due to be released in a few days, will be able to read that packet. 10. Can I use iBeacon on an app that has an Eddystone SDK installed? Yes, it is possible. In the case of Beaconstac beacons, for example, you can simply take out beacons, put them in Eddystone mode and they will work with our updated SDK (due in a few days). Our SDK already supports iBeacon. That doesn’t go away. With the Eddystone url what is to stop someone setting up a page with malware on it and linking beacons to it? This could effectively become location based malware. I can picture hiding beacons at the entrances to a sports venue, when people walk in they click the link thinking it’s legit only to get a virus. That’s a fantastic question Sean. If you end up finding an answer please do me the courtesy of letting me now. Reach me via Twitter @MediaWyse or drop me an email to caseymarkee at gmail dot com. Much thanks. I understand your concerns. From what I have read, Google has created a system, called ‘Ephemeral Identifiers (EIDs)’ that allows beacons to broadcast a signal that is only identifiable to ‘authorized clients’. These Ephemeral Identifiers (EIDs) integrated with the platform change constantly, for example, to keep the beacons guarded against hackers trying to inject malware into the network.
.@scottjenson from #Google describes a proxy that links to available URLs vs direct to device. Might that help? Thanks for sharing this David. Very useful! but I can’t find a specific direction as to how to make the switch. Do you have anything to offer on the subject? “Since firmware updates needs professional knowledge, we do not provide download links, please contact us for specialized Updater APP. You will need to get in touch with them to resolve this. I understand your concerns Sean. From what I have read, Google has created a system, called ‘Ephemeral Identifiers (EIDs)’ that allows beacons to broadcast a signal that is only identifiable to ‘authorized clients’. These Ephemeral Identifiers (EIDs) integrated with the platform change constantly, for example, to keep the beacons guarded against hackers trying to inject malware into the network. Nice article. Per my understanding, the cloud back-office provided by beaconstac is platform independent, it should work both on Android and iDevices. I read a PDF guide that described how to create cards, add rules and set actions. I believe these steps that are used to create campaigns are common for Android and iDevices. Android question- can you create multiple Activities in the cloud back-office and connect them via implicit intents? Can eddystone broadcast all 3 packets at the same time, URL, TLM, UID? Where can I learn more about the cms platform. Is there a way to try the platform before ordering. Also, can I implement the platform to my app ? I’m confused. So, my question is: today 17th March 2016 is it possible to translate and read Eddystone URL packets with other browser besides Chrome or Physical Web? Hi, Neha, a couple months ago, one of your commenters below, David, asked a question “Is it possible to translate and read Eddystone URL packets with other browser besides Chrome or Physical Web?” I have the same question and didn’t see an answer. Also, I understand that right now every phone requires the download of an Eddystone scanner of some sort (https://www.phy.net/physical-web-browsers/ –in other words, an app of some sort), on top of the Chrome browser, and that even if someone has such an app installed, Google chooses which notifications are pushed, that only notifications from advertisers that align with a user’s search history would be pushed. So it would only be good to reach consumers who have already done their research and are looking for something in particular – not as a way to introduce an offering to a customer, correct? And if that’s a fact, how much does Google filter out? Would they filter out all advertisers except ones the user has searched for, or would they just filter out classes of advertiser if the user hasn’t searched for them already in Google?